Check out our Variety of Fishing Boats for Sale! 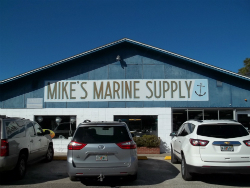 The boat dealers at Mike’s Marine Supply in Tallahassee, FL want to sell you the best boat for your seaside enjoyment. 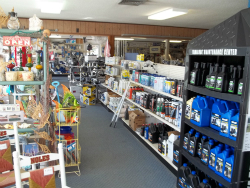 Our business specializes in catering to our customers through a well-rounded inventory of boats, trailers, parts and accessories, great customer service, expert repair, boat motors outboard sales, fishing boats for sale and best of all, located on your way to the Coast. Our boat dealers provide excellent service. Having a family run business has always been important to Mike Falk, Sr. Mike is still very much a hands-on business owner but he is also very proud to have his son, Mike Jr., working right alongside of him as the manager of the dealership. Both are dedicated to providing the Big Bend area with sales, service, parts, and repair. Occasionally they lend an ear to listen to tall fish tales, especially about the monster fish that got away. We are proud to have some of the best service technicians on the Emerald Coast. Our boat dealers would love the opportunity to fix your boat or purchase a new one. 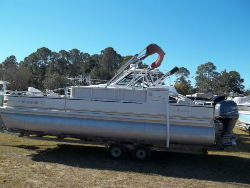 We invite you to visit us to view our complete inventory of new and pre-owned boats as well as boat motors outboard sales, new and pre-owned parts and accessories. Stop in for a new boat motors outboard. We carry Yamaha and Mercury outboard motors. Need a new trolling motor? We carry a full line of Minnkota motors also. Accessories and parts are also important to our customers. Therefore, we have a variety in stock for your conveniences. If we don't have the fishing boats for sale that you would like, we can special order the parts and accessories. Simply ask one of the boat dealers on the lot. Whether you want a new or pre-owned boat, we have a great selection of fishing boats for sale. As boat dealers, it is important to have a variety of prices to fit any fisherman’s budget or taste. Come see us and our boat motors outboard sales here at Mike’s Marine Supply located in Tallahassee, FL. We appreciate our customers and ask you to support your local businesses on the Gulf Coast.